Confession is an act of honesty and courage – an act of entrusting ourselves, beyond sin, to the mercy of a loving and forgiving God. From God’s wonderful mercy He has provided us with confession which has the supernatural potential to change our lives, to give us fantastic grace (actual grace) and restore our souls to saving grace (sanctifying grace) but sadly, most of us don’t make use of God’s healing mercy which awaits us in the sacrament of reconciliation. Few attend confession and many of us, who do go to confession, don’t have a real hate for our sins and just vaguely list a few of our sins, with out a great desire to know ones offenses, or without whole heartedly desiring to stop committing them and then presume we are forgiven. Sadly then most go on our merry way living life just the same with little hope for eternal life from a lack of true sorrow for our sins. That isn’t what confession is about. This supernatural sanctifying grace–forgiveness–isn’t given to us just because we want to be forgiven, we have to accept forgiveness. Much of the time, we might go to confession hoping for forgiveness, but we still aren’t truly sorry for all of our sins, and we reject God’s mercy because we still love some of our offenses (don’t want to amend them) or we aren’t sorry for offending God but rather are sorry for a vast number of other reasons like hurting someone else or not liking the consequences of our sins. And without being truly sorry for each and every one of our sins, we reject saving grace. Saving grace can’t live in a soul that rejects it by any unrepented sin. Therefore, someone can be sorry for many sins, but if they haven’t grown enough in their faith to be truly sorrow for ALL sins, they are still unable to accept God’s sanctifying grace. True sorrow is when we hate all of our sins and resolve to sin no more (CCC #1451). That might sound easy to obtain to some, but I tell you the saints worked hard with the hopes to obtain such sorrow continuously. Therefore, we can’t assume we are truly sorry either; we can’t read our soul. 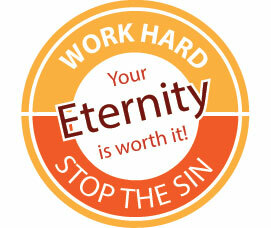 So never stop working to burn with greater zeal for your repentance and love for God. However, no matter what sins a person would commit or how long they have abandoned God, since God burns to forgive our souls, if we are truly sorry and are willing to whole heartedly strive to sin no more…want to become a saint and are willing to change from our life of rejecting God (sin), from being horrified that we offend our Creator, and are willing to do what is necessary to live for God and His will alone, then there is no doubt that God would envelop us with His forgiveness and mercy, now or at the hour of our death, like any loving father would. God wants to forgive each and every sin. He can’t wait to welcome us back into the fold. Tragically, it is we who reject Him. If we still aren’t willing to completely abolish every sin, to love God, so God can transform our lives into His, that of perfect holiness, and we aren’t constantly changing into a greater image of Christ, who we should be following, then we still love some sins–the sins we don’t wish to let go, and won’t have forgiveness of our sins, because we have rejected it. Wonderfully though, for those who desire to become saints (to go to heaven) and have acquired imperfect contrition, who detest all of their sins, and are mostly changing from their life of sin from a fear that they will reject God’s saving grace and choose Hell if they don’t, then their sins will be forgiven in Confession from the power God gave to His priests and their saving grace will be restored, but of course, pretty much immediately after their soul is restored to life, through confession, they will fall outside of grace again if they become more worried about their soul suffering in hell, having self-love, than having greater concern for offending God whom they should have loved with all of their heart, since loving ones self over God, is a form of idolatry and not true contrition and rejects saving grace outside of confession. It is imperfect contrition. We need to be truly sorry, to have perfect contrition, to accept God’s saving grace outside of confession to a priest. For eternal life someone must grow enough in their faith to hate all of their sins and resolve to abolish them because they can’t bear offending their God whom they should be loving perfectly. That contrition, perfect contrition, is required for Life. “God’s eternal justice ordains that no sinner may enter heaven without perfect contrition” (Revelations of St. Bridget of Sweden). Therefore, since most don’t die instantly after confession to a priest, who have imperfect contrition, perfect contrition is needed–no self-love–to accept and maintain God’s saving mercy in our souls. Obtaining this should be our life’s goal. For those who desire Eternal Life, a pure love, prescinding from themselves, is necessary, for it is not enough for eternal life to fly sin from fear of punishment [imperfect contrition], or to embrace virtue from the motive of one’s own advantage [self-love]. Sin should be abandoned because it is displeasing to Me. Wonderfully however, for those who wish to grow in their faith to where they can hate all of their sins, with either perfect or imperfect contrition, but know they still cling on to some sins, and suffer from many forms of idolatry (love anything over God) such as: love of sin –don’t want to amend some sins, love of things of this world –choose worldly pleasures over loving and serving God, or love themselves –want their will instead of God’s will, the sacrament of reconciliation is of great benefit to them. During confession, we don’t need to have true sorrow of all of our sins to receive much actual grace from God’s generous love. We just need to have imperfect or perfect sorrow for at least one sin and then God will send actual grace, not saving grace, but much actual grace to help move our soul into one day being able to reject all of the sins we love. Confession truly is an invaluable gift for the soul that desires salvation. Once someone obtains imperfect contrition from servile fear (fear of going to hell), that wonderful “fear of the Lord” which is the beginning of wisdom (cf. Proverbs 9:10), that drives the soul to change, that will allow God’s saving grace into their soul, from God’s generous gift through the power God gave His priests. An immensity of grace is given to a soul that has it’s sanctifying grace restored even if it is only for a few moments. And God gave the blessed priests the power to deliver this magnificent gift to us. “If you forgive the sins of any, they are forgiven them; if you retain the sins of any, they are retained” (John 20:23). I tell you it is much harder to move a soul into perfect contrition, if they have never had their soul restored into saving grace from imperfect contrition. The gifts God gave His Church are so incredible and beneficial, they are amazing displays of His mercy. The benefit that comes from the restoration of a soul into saving grace, even if it is only for a moment, is indescribable and it greatly assists a soul towards obtaining perfect contrition especially at the hour of their death. By it [confession] genuine self-knowledge is increased, Christian humility grows, bad habits are corrected, spiritual neglect and tepidity are resisted, the conscience is purified, the will strengthened, a salutary self-control is attained, and grace is increased in virtue of the Sacrament itself. First, we need to humble ourselves. If we think we hardly sin—and we think everyone else sins far more than we do, or that everyone else is “the problem,” and we’re doing really well—then we can’t obtain the knowledge of our offenses against God, because we don’t understand our misery. Or, if we only see a handful of our sins, and we repeat the same ones over and over again in the confessional, then we need to be learn how to be honest with ourselves and open our minds and our hearts to realize just many sin we have that are blocking God’s love from our lives, due to our countless unknown offenses. We can’t grow in closeness to God if we don’t have a true desire to know our sins against Him that are blocking our relationship with Him. We—along with everybody else (unless you are the most pure saint, then you will be the exception)—continuously commit many sins every day, and many of those sins we aren’t even aware of. For example: distracted during prayer, avoided the cross, complained, desired to be esteemed, worked outside of God’s priorities, were frustrated when things didn’t go as you wished, etc. There are so many countless sins we commit, we would be devastated to truly know how often we offend our Lord. In order come to know the sins we still love and to avoid our sins in the future, we must first become aware of them in the present. We should take confession very seriously since all sin offends God whom we should love above all things. Sin pushes away His graces (help), hurts our relationship with Him, brings sorrow into our lives and the lives of those around us, and mortal sin—serious sin we choose to commit—causes us to loose God’s gifts of saving grace and makes us deserving of eternal punishment in Hell (cf. 2 Thessalonians 1-5:12). Therefore, confession, the greatest gift God has given us to move our souls to truly hate all of our sins, is most desired for our salvation; it’s delivers us a real hope of living a life of joy and an eternity of happiness with Jesus. Confession frees us from suffering the pains of mortal sin, since reconciliation ot a priest is the only ordinary way to reunite a soul who has broken their relationship with God. *(cf. 1 John 5:16). Confession is an invaluable gift from God to help us to grow in greater holiness even for those with only venial sins, who have perfect contrition. Any sin—whether mortal or venial—should never be taken lightly. When something is as vitally important as confession is, we should take the time to do it well. Since we sin so often, we should look at the choices we make in our day-to-day lives to see where we fall short of love. The following link can provide us with the assistance we need with examining of your conscience prior to confession. Strive always to confess your sins with a deep knowledge of your own wretchedness and with clarity and purity. Perfect contrition (perfect sorrow) is necessary to receive the fountain of graces that abundantly flow from our Lord during penance and is necessary for salvatation at the hour of our death. We might think we are truly sorry for our sins, since we don’t like doing the wrong thing and feel guilt. Unfortunately, most of us don’t realize we aren’t truly sorry or even possess imperfect sorrow (imperfect contrition). If we don’t truly hate our sins and work hard daily to resolve to stop offending God we have no contrition. CCC#1451 Perfect and imperfect sorrow (actual sorrow) is proven by our actions…just like faith is. Many of us prove that we don’t have perfect contrition or any contrition when we are fine with injuring our Lord over and over again with our offenses, because we never put forth effort to change our sinful ways. Loving God is hating to sin. Even if we possess imperfect contrition and are forgiven in confession, from the graces in that sacrament, we must move forward to obtain perfect contrition (true sorrow) since we must have true sorrow (real sorrow) to be saved. The more we go to confession, the more we can develop greater sorrow for our offenses against God, through the grace which is given us in the sacrament. “For godly grief [actual sorrow] produces a repentance that leads to salvation and brings no regret, but worldly grief [sorry because you were caught or another selfish reason] produces death” (2 Corinthians 7:10). St. Benedict Labre says bad confessions, made without perfect contrition and with no desire to change, leads to the ruin of souls. Change is hard, but change is the beginning of everything. When we enter the confessional without a desire to change, we have proven to God that our hearts are not truly sorrowful, and the grace our Lord longed to give us won’t be received. Our lack of sorrow might be so great that we won’t even be forgiven of our sins—even if we ask for forgiveness with our words—because our Lord knows our hearts. If our hearts are truly sorry, we will desire to stop hurting God through our offenses, and our Lord, who sees our love and rewards us in return, wants to help us to sin no more. Through the sacrament of reconciliation, God will assist us on the road to perfection for a life of joy and an eternity of bliss. If our hearts are truly sorrowful, we need to practice the “3 P’s”—Pray, Plan (make a resolution to change, and Perform (do what we resolve to do)—for every sinful tendency we are trying to rid our life of. This will result in the change, which is necessary for growth. When we approach the confessional with true contrition (real sorrow), understanding the seriousness of sin, with the desire to sin no more, there is a bountiful assortment of graces our Lord showers on the truly contrite heart (which you can read about in the adjacent column). When we begin to experience true contrition and work hard to not offend God, we begin to receive grace after grace after grace from the sacrament of reconciliation. So many graces are available that we can grow in holiness rather quickly as a result of frequenting the sacrament with an open, trusting heart. The graces can become so obvious, that we, like the saints, can develop a craving for the sacrament. We might even develop the gift of tears which can flow as a sign of perfect contrition. We can’t fathom the amount of help God wishes to give us since His love and mercy is so great. The only thing that prevents us from receiving His love fully is our sins. Therefore, we must open up our hearts and receive the loving help of our Lord. So let us confidently approach the throne of grace to receive mercy and to find grace for timely help — Hebrews 4:14. If we are truly sorry for all of our offenses, and don’t believe all of our sins are forgiven after confession, how can we accept the graces God wants to give us? If we truly desire salvation, and desire to stop offending God (want to be a saint), how can we believe God doesn’t want that for us? God burns for us to desire to love Him and He will forgive anyone who is truly sorry and strengthen them to find perfect sorrow so they can reject sin and embrace His love for eternal life. We must remember that God loves us so much that—no matter what offenses we’ve committed, and no matter how many years we’ve spent turning our back on God’s will, if we have actual sorrow (perfect or imperfect contrition) for our sins, we will be forgiven through confession. We must believe in God’s mercy, and we must also realize that we don’t need to ask God over and over again for forgiveness; we are forgiven the first time every time, as long as we are truly sorry, God truly forgives. “Then Jesus said to her, ‘Your sins are forgiven’” (Luke 7:48). “…from now on do not sin again” (John 8:11). Just as the prodigal son, who repented and turned back to his father after years of wasting his father’s gifts was forgiven by his father, will too will be joyfully forgiven when we repent of our sins and turn back to God and work hard to sin no more; in the same way God will shower us with gifts and graces upon our humble return to help you find eternal life. This is God’s incredible mercy for all of us, and we will be showered with these graces with each and every confession we make with a sorrowful and contrite heart. If we are in the state of grace and have fallen into grave sin, we must go to confession immediately if we have willingly committed a grave sin, because the grace we do have departs from our soul every moment we remain in a state of mortal sin, since we are no longer united with God. It is as if there were a hole in our soul and unless we repair the hole (through confession) the grace that is in our soul will continue to slip away and all could be lost. Like John says (cf. 1 John 5:16) we must confess deadly sins (mortal sins) to a priest; simply asking for forgiveness, going straight to God, might lead to eternal death. * If we were to die with that mortal sin on our soul, we would be deserving of hell for all of eternity because we chose to live outside of God’s mercy. The consequence of unrepentant mortal sin upon death is forever. Frequenting the sacrament for those with venial sins opens up the door to holiness. If we want to grow closer to God and live a life of joy, we should frequent the sacrament of confession for venial sins too since without the amazing grace and benefits of a proper examination of conscience—the flood the soul through the sacrament—we wouldn’t be able to achieve the life of great holiness that God has called us to. The more often it [confession] is used and the more carefully it is made as to both lesser [venial] and greater sins [mortal sins] – conveys [brings] the soul increasingly forward and is so pleasing to God that it leads the soul to God’s very heart. Furthermore, St. Padre Pio invited all believers to confess at least once a week since he, as well as the other saints, knew very well the power dispersed through confession. Even people without contrition can receive actual grace to move them towards being actually sorry for their sins, if they confess them to a priest. The advice from the saints on confession is pretty much universal: frequent the sacrament and embrace God’s healing transforming grace. However, if we frequent the sacrament once a week or more, we need to be established in our faith to benefit from it. If we attempt to receive grace without opening our hearts to know our sins—through a deep examination of our conscience, and making daily resolutions to avoid sin—we could enter the confession week after week, and no change would come about since grace is not delivered to a closed unhumble heart. If we are looking to grow in holiness, and willing to look into our daily offenses, and eager to work diligently with God to try to be perfect as our heavenly Father is perfect, then there will be incredible graces bestowed into our souls from our most generous, loving Lord. He gives greatly to those who love Him, because our Lord will not hold back His love from anyone who seeks Him—for if you ask, you shall receive. We work hard to succeed in other aspects of our lives, how about our salvation? Eternity is forever. Remember the more beautifully we live our lives today, the greater the reward God gives for all eternity. For ever earnest act of love our time in purgatory is lessened by each sacrifice, self-denial, prayer and works of mercy we perform out of love for God. Our generous God will repay each one according to what they have done (cf. Romans 2:6) therefore all your efforts aren’t only pleasing to God but a great reward is promised from our Lord who is always faithful to His word. If you want to be transformed into the person God created you to be and live a life of joy and an eternity in bliss – then frequently receive God’s mercy in the sacrament of reconciliation with great trust in Him and experience God’s embracing arms of love which are waiting for you. **However, if it’s impossible for a soul to attend confession—not because of embarrassment or any other excuse, but really, truly impossible—and they are dead in their sins (meaning they committed mortal sin), and their soul has perfect contrition (which is very hard to possess and only God’s knows if it is truly present) for their sins because they greatly offended God whom they should love (not just simply sorrow because they don’t want to go to hell or some other selfish motive), then their mortal sin could be forgiven by simply asking God for forgiveness, since God reads the minds and probes the hearts. He will forgive anyone who truly seeks forgiveness, just like Jesus did for the criminal crucified next to Him, “Truly I tell you, today you will be with me in Paradise” (Luke 23:43). That criminal, who was born dead (with original sin) and has committed many actual sins in his life (deserving of punishment in purgatory), was completely forgiven – like with the waters of baptism (pardoned from the punishment of his sins as well), because of his perfect contrition, due to the desires of his heart. God can do the same for us. If we have already been baptized, then the punishment for our sins will still exist but forgiveness can be given from the perfect sorrow in someone’s heart. Nonetheless, when it does become possible for that soul to attend confession—since God gave the power to forgive sins to the priests (John 20:23), wants us to confess our mortal sins to a priest (1 John 5:16), and to be certain we are forgiven since we don’t know if we have perfect contrition—that soul is obliged to go to the sacrament of reconciliation as soon as possible. This is truly what confession is all about. The greatest gift of all, salvation through the forgiveness of our sins. Someone with sorrow (perfect or imperfect contrition) for their sins, can leave the confessional having received much actual grace and saving grace into their soul. They can let go of their guilt, knowing God wants to forgive them…and the only thing that would prevent God from forgiving them, would be their own lack of contrition (sorrow). But for those with perfect or imperfect contrition, they are most certainly forgiven no matter how serious there sin was, since God longs of us to repent and change our life. He wants to set us free from our sins. When someone approaches Jesus in the confessional with perfect contrition and trusts and believes in God’s forgiveness and mercy, the angels and saints in heaven rejoice and as the Lord delights in enveloping the repentant sinner with His mercy, forgiveness, and incredible healing graces. To truly desire to sin no more takes a lot of effort and grace. But being right with God is unquestionably worth striving for, and He will deliver the grace needed for your efforts to be successful. Making a conscious effort to not offend God is an ongoing, daily process which involves not only repentance, but trying over and over again with determination. This constant drive towards perfection, out of Love for God, requires an abundance of grace which is delivered through the sacrament of reconciliation. In order to obtain full awareness of ones sins, someone needs to do a thorough examination of their conscious to see where they are offending God. Click Here to learn how to examine your conscious and download a helpful check list. After someone makes a contrite (sorrowful) confession, they will receive grace to see additional sins, sins they didn’t even know existed, because without grace we are blind. Understanding the seriousness of sin is a grace. Many people have a “oh, that is no big deal” attitude toward sins, but both the saints and the church see it differently. (CCC 1850) They understand ALL sin is an offense to God–and a rejection of His love–while it separates us from Him. However, all sin is not equal since there are deadly sins and non-deadly sins (cf.1 John 5:16-17). Yet, all sin hurts God who deserves our love. Therefore, sin of any kind should be avoided. God didn’t say, “Just worry about the big sins.” No, He set the bar high for a reason. We are called to strive for perfection, and we are never to stop searching and desiring to grow closer to God simply because we think we are good enough. Once we stop trying to grow, we will surely sink. The pathway to perfection is the path the saints followed, and we would be wise to do likewise. Living the Gospel message is the path to perfection. However, someone can’t live the Gospel with their sins blind them to what that message really is. Therefore, if someone wants to have eyes that can see clearly, they need to frequent the sacrament of reconciliation to be cured of their spiritual blindness. There is different kinds of contrition–perfect and imperfect. Perfect contrition is when you are sorry for your sins because they hurt God and imperfect contrition is when you are sorry for another reason like: you don’t want to go to Hell (something selfish). When someone really loves God, they don’t want to sin because they understand–to some extent–that their sins, whether mortal or venal hurt God and their relationship with Him. Contempt for your sins is also a grace from God and if someone wants their scenes to be mortified (to understand to a greater degree the sufferings of Christ) and for true sorrow to develop, that grace is given through the sacrament of reconciliation. If sorrow doesn’t happen immediately upon entering the confessional, to bring on contrition simply contemplate Christ’s passion. Some people have been asked to do this and they are lacking so much grace, even the thought of our Lord suffering on the cross for their sins couldn’t spur any sorrow. If this is your case, don’t worry…continue examining your conscience, praying and frequenting confession and before you know it, God will give you the grace to have perfect contrition for your sins. As it says in the Lord’s Prayer, “lead us not into temptation, but deliver us from evil.” Yes, it is completely possible for God to prevent you from even being tempted to commit certain sins, even sins you are drowning in, God can eradicate completely…with God all things are possible. God can do anything, and with your desire and effort to sin no more; you can watch God work wonders through the grace given by His incredible love and mercy through the sacrament of reconciliation. When you begin to feel God’s forgiveness and develop a true understanding of God’s eminent love for you– regardless of your great sins against Him–then you will begin to experience and understand His incredible mercy. God loves us no matter how imperfect we are. He is patiently working with those who desire to sin no more. He is constantly pining for us, inviting us to grow closer and closer to Him. No matter what stage you are in your relationship with God, He will forgive you of ALL of your sins, if you are truly sorry for them. Such a beautiful gift should bring tears into your eyes. His love is unfathomable. As long as you desire Him, He is there helping you, molding you into the beautiful creation He designed you to be and guiding you to share eternity with Him in heavenly bliss. To experience this amazing love, forgiveness and mercy, all you need is to experience the sacrament of reconciliation. This sacrament also prepares you to receive God’s greatest gift on earth, Jesus in the Holy Eucharist. When a soul is made pure through reconciliation prior to receiving Jesus, it is enveloped with even more love and grace than a soul who had not received such purification through the sacrament of reconciliation just prior to Communion. Such graces as these make the angels dance in heaven. Countless people experience incredible joy and peace knowing their sins have been forgiven through the sacrament of reconciliation. On top of that, this peace and joy can extend into your day especially if you are living the Gospel giving you a complete life of joy as a reward for striving to sin no more. This gift is fortified through the Holy Eucharist, which also provides forgiveness (of venial sins) and healing, and when a soul receives Jesus with a pure heart, the amount of love and grace which is given to them is beyond our understand. All of this goodness is ready for the souls who truly love the Lord. “Those who love me will keep my word, and my Father will love them, and we will come to them and make our home with them” (John 14:23). Many people have forgotten, don’t realize, or have never been told, salvation is only for souls who are reconciled with God, and that mortal sin–if not sorrowfully confessed–separates them from our Lord for all eternity. This is the reality of sin. Yet God, in His great love for us, sent His only begotten Son, down from heaven, to be born of a simple virgin, to live in exile, and then suffer a tortures death to pay the price for our sins, so that those who believe in Him will have eternal life with Him in heaven. Wow! If we believe in Him, we will obey His word, and confess our sins–especially mortal sins–to a priest for forgiveness. (cf. John 20:21-23). The Bible clearly describes how some sins are deadly, and only confession will set the souls who’ve committed them free from the consequences of death. Both the Bible and the Catechism also state what sins are deadly. However, no matter what sins you’ve committed, God who is full of mercy will forgive you if you are truly sorry and confess your sins. Then a life of joy and an eternity with the angels and saints in heaven will be waiting for you. The surety of salvation is found through the sacrament of reconciliation. Praise Jesus!!! 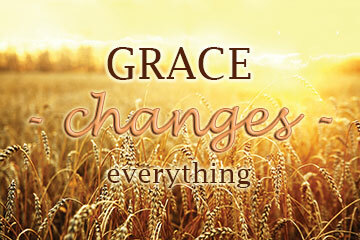 Of course God’s grace isn’t limited to these graces alone. He can bestow on you any virtue He desires to assist you on your journey to holiness.